Educators play a key role in transforming existing educational systems into inclusive ones. CNC started to develop strategies on how educators can be more efficiently targeted and supported. 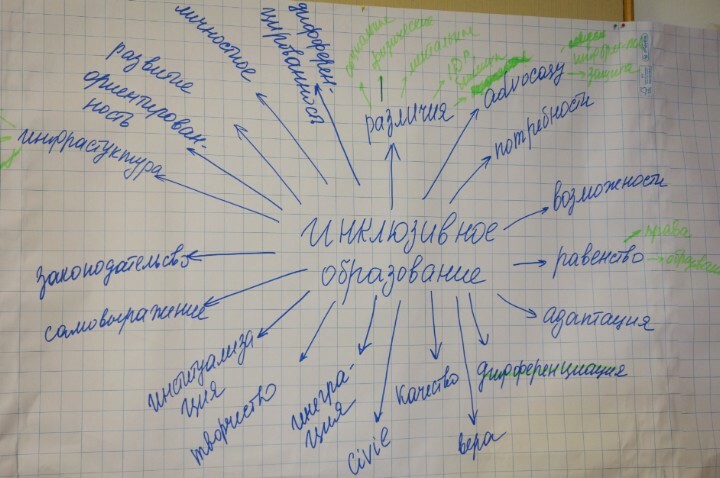 At this years spring meeting, the Caucasus Network for Children (CNC), special attention was given to the question on how the Network can foster links with the educational sector in the Caucasus countries. This focus has been strongly encouraged by the Austrian Ministry of Education and Women’s Affairs that is particularly interested in reaching out to teachers. The Ministry has supported the regional cooperation between the CNC organizations since almost ten years. In some countries legal requirements have improved over the last years and adopted an inclusive approach. However, little has been done so far to put the new laws and regulations into practice. Teachers all too often are left alone with manifold challenges in every day school practice. Educators lack training and schools and other educational institutions lack the means to provide their staff with the necessary training that would help them to apply an inclusive methodology. The CNC training aimed at developing a basic strategy on how to tackle the issue. Taking into account the difference of local traditions and systems, a country based approach was chosen. The Board had decided to take advantage of the resources which exist within the Network and engaged two educational experts from CNC organizations as trainers for the workshop. This proved to be very stimulating and had as a side effect a positive impact on the Network building process. The training started with an analysis of the current situation in Caucasian schools and other educational institutions and compared it to the situation some years ago. The twelve workshop participants gained a lot from the very intensive exchange of experience that unfolded during this session. A poor knowledge of the state language or low quality of education in rural areas are only some of many problems in the Caucasian countries and prevent that every child gets the same chance in life. Early marriage or even keeping girls out of schools are other issues that worry the educational experts of the CNC Network. Based on the analyses and their experience from their work in NPOs that deal on an everyday basis with inclusive and educational issues, the workshop participants worked out four concrete project ideas. Once the required funding is provided, the Network can rely on this base.